There’s no prescribed ‘right’ way of teaching. If it gets the right outcomes for the students, then it ‘works’. There’s a great deal to be learnt from those teachers who have truly mastered the craft of the classroom, such as Mr Clarke & Pam McCulloch. There’s a large number of myths around, about what works. 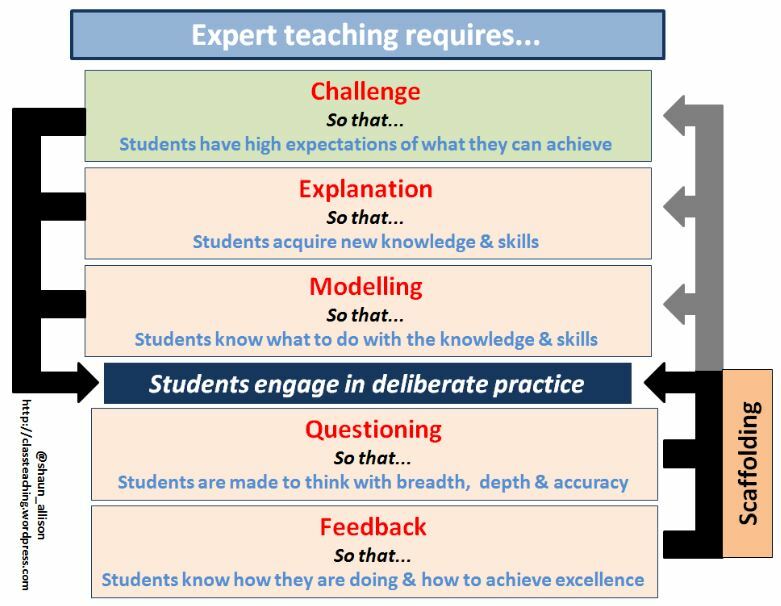 It’s worth combining the wisdom of these great teachers with the research evidence base about what makes great teaching. So, 6 simple principles that teachers are encouraged to translate into their own classroom practice – a ‘tight but loose’ approach to teaching – that’s what we’re aiming for. We would be interested to know if you think we’ve missed anything in these prompt questions? If there is, please let us know via the comments box on this blog or via twitter. This entry was posted in CPD Events, General Teaching. Bookmark the permalink. I look forward to reading further posts about this initiative. I am interested to know why you are only going to speak to teachers with excellent exam results. Teachers do many great things but ultimately (at secondary level) we want students to leave with the best set of exam results possible – to give them more life chances. That’s what great teachers do. I thought this post was a really constructive summary and I love the graphic with the 6 rows. This could be something to do with the fact that you ideas resonate very closely with my plans for teaching starting tomorrow. I was a little daunted by the 43 (I think I counted correctly) bullets which for me were a little overpresciptive, especially given the statement “There’s no prescribed ‘right’ way of teaching.” at the start. I think there are a few questionable value judgements in the detail (AKA the devil) as so were actually about “ways of teaching”. Having said that, I think your ability to go through the whole thing without using the words Direct, Traditional, Progressive and cognitive load is to be admired. You come across as an eclectic sort of a teacher which again is for me one of the keys to good practice. I will watch this one as it develops. Are you happy for me to use the graphic as it is shown here with my students with the copyright information there. I will make it clear that you are the source. Thanks for the response – happy to share. So feel free to use. 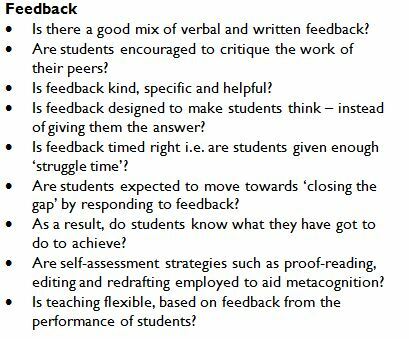 It’s not meant as a checklist and I wouldn’t want teachers using it as such – not feasible to do everything, every lesson. But if you are looking to develop an aspect of your practice e.g. 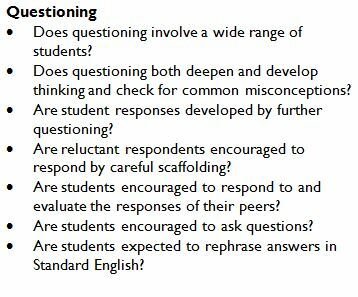 explanation, the questions for explanation would be worth looking at to support self-reflection. That’s the idea. Reblogged this on Creative T&L. Reblogged this on Dragonfly Training. Reblogged this on Learning Performance Training.